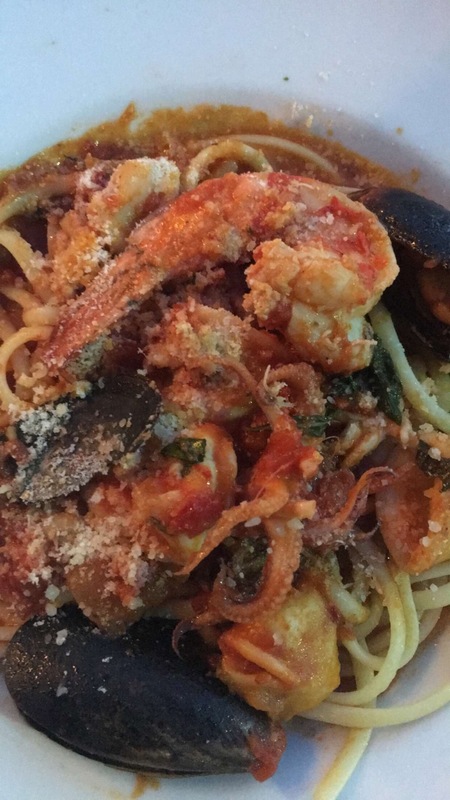 I found the quaintest little place for Italian dining, Aiello's. The owner, Joe Aiello, came to our table and introduced himself. His New York accent was clear to me that I asked him where he was from. He looked at me and said he lost that New York accent a long time ago (no, it's still there). The restaurant is on the corner of 7th St and Thunderbird Rd. Three different restaurants in a row and owned by Mr. Aiello: Aiello's, Isa's Pizza and Charr an American Burger bar. 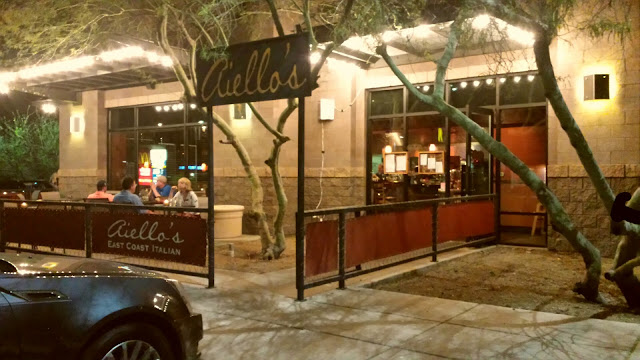 We ate on the patio of Aiello's and noticed Mr. Aiello goes from one restaurant to the other making sure everyone is enjoying themselves. Kristen and I split the linguini fradiavolo. For dessert, we had real tiramisu, the kind that makes you withdraw your fork from your mouth slowly to savor every creamy bite. Mr. Aiello came back to our table with a container that had numbers in it from 1 through 90. We called out a number and if he rolled out that number dinner was on the house. Well, all I can say it was well worth it at any cost.